At ProviderTrust, we believe that healthcare compliance should be simple and friendly for everyone. Below you can find some of the free resources we have assembled to make your job easier, more efficient, and maybe even a bit more fun! Join our free monthly webinar series to stay up to date with the most recent changes in healthcare regulations and guidelines. Our team of industry veterans and experts will guide you through a different topic every month, with dedicated Q&A time at the end of each webinar. Healthcare compliance doesn't have to be complex. Join our webinars and find out for yourself! Our team of industry veterans and experts will guide you through a wide range of topics including CMS updates, managed care, provider network monitoring, and more. Join our webinars and find out for yourself! Missed some of our live webinars? Check out the live recordings here, and never miss out on our healthcare compliance tips and lessons. Just click the button below to get started! 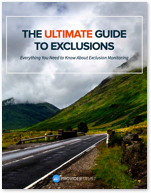 This ebook gives an in-depth overview of exclusions and exclusion monitoring. Learn about the OIG and the risks of doing business with an excluded provider and how to avoid those fines. Did you know you need to be monitoring your vendors for exclusions? 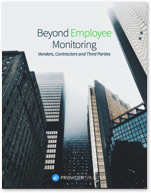 This ebook will educate you about the regulations of vendor monitoring and how to avoid doing business with excluded entities. 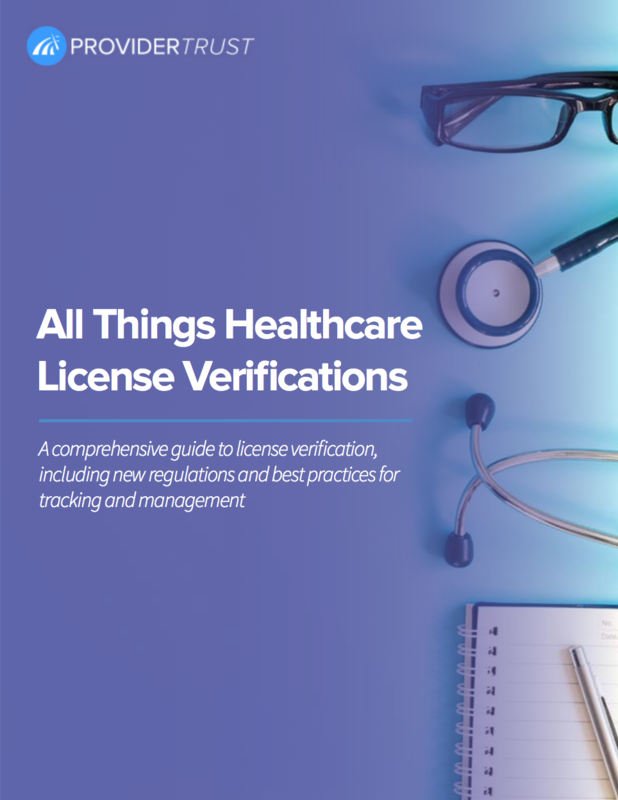 A comprehensive guide to healthcare license monitoring and verification. This ebook includes new regulations and best practices for tracking and management of licenses and certifications. 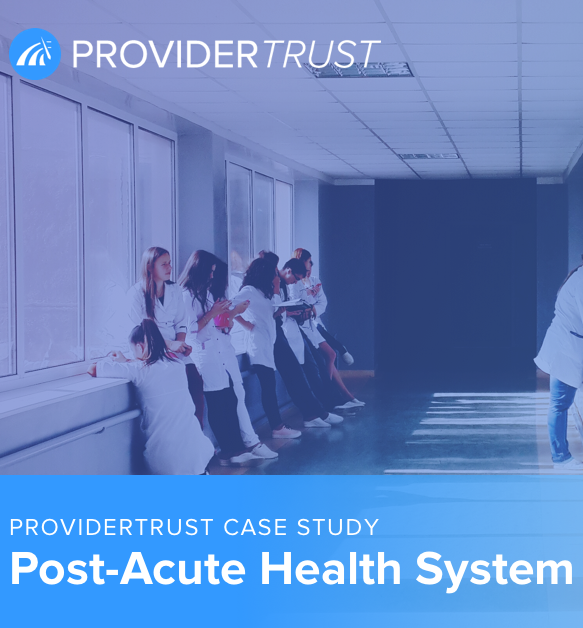 Read about how one of the nation's largest post-acute health systems used ProviderTrust to find excluded providers and get a clearer picture of their overall compliance. 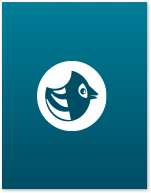 CHIRP is a report on the state of exclusion data, as well as other compliance-related statistics and numbers. The report is updated quarterly, access it today to get your copy of the data! Ready to automate your exclusion list checks and simplify your compliance program? Get pricing for ProviderTrust's software to find out how you can become a compliance hero and save your company time and money!